Wide Format Solutions - American Business Copiers, Inc.
Browse Wide Format Solutions from American Business Copiers, Inc. 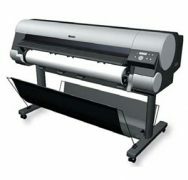 The imagePROGRAF W8400 44" printer is a large format printing solution for office, photo, and graphic art professionals. A suite of included software programs, Pigment ink, and 2400x1200 dpi provide for professional color output. The imagePROGRAF W8400D 44" printer solution for Design Rendering, CAD, and Color Reproduction applications. A suite of included software programs, Dye based ink, and 2400x1200 dpi provide for exceptional color output.